Business letter layout is important. 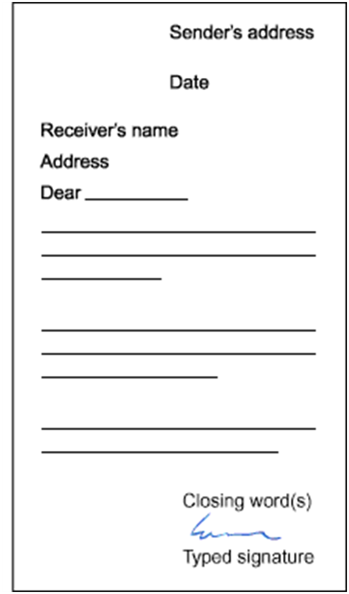 There are three main layouts that are commonly used and people will be used to seeing them when they receive business letters. This page focuses on the shape of the letter and not the contents. The page about proper business letter format focuses on the specifics of what should be included in each part of the letter; while, the page with business letter examples gives examples of how the different formats and layouts can be used together to produce professional business letters. There are also some free business letter templates for you to copy and use to help you produce your own letters. In block format all the text is justified left. 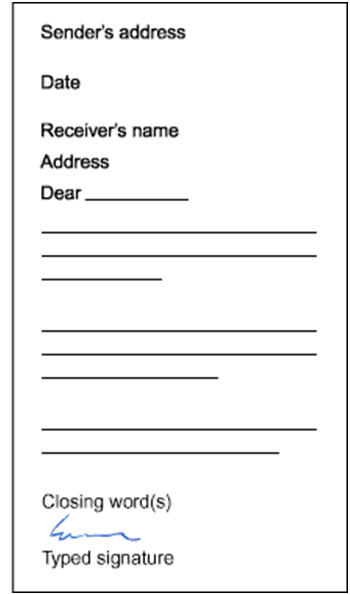 The sender’s address, date, receivers name and address, as well as the main body of the letter and the closing are all justified to the left hand side of the page. All the lines start at the same place: they should be vertically justified so that they form a straight vertical line. The paragraphs aren’t indented. The ends of the lines at the right hand side shouldn’t be justified. It’s easiest to read text that is left justified and uneven at the right hand side. This will mean that the text isn’t stretched to fill the line so each letter and space will be the same size. The exact place that the modified elements should start isn’t precisely defined in the modified block format. The sender’s address, date and closing should start at least in the centre of the page, that is, the first letter of each line should be on the centre line of the page or to the right hand side of it. How much to the right hand side is up to your personal preference. Choose the most professional looking positioning. In this format the position of the date could remain left justified as in the block format or be lined up with the elements that have been moved towards the right of the page. The first line of each paragraph in the main body of the letter has been indented. One tab space is a suitable indentation to use. Everything else is the same as in the modified block business letter layout format. If you need help with business letter writing I can help you, see the page about my proofreading service through which I can read your letters to make sure they’re written professionally and also formatted correctly. If you’d like to ask any questions you can visit the Excellent Proofreading and Writing Facebook page or use the contact me page.